THE VACVVM will release two new prints tomorrow. 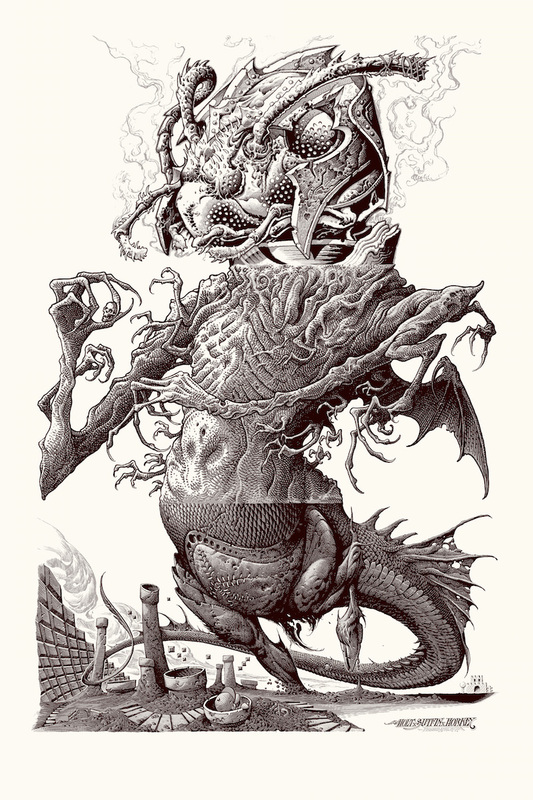 The first is an exquisite corpse exercise by Aaron Horkey, Mike Sutfin, and Brandon Holt. 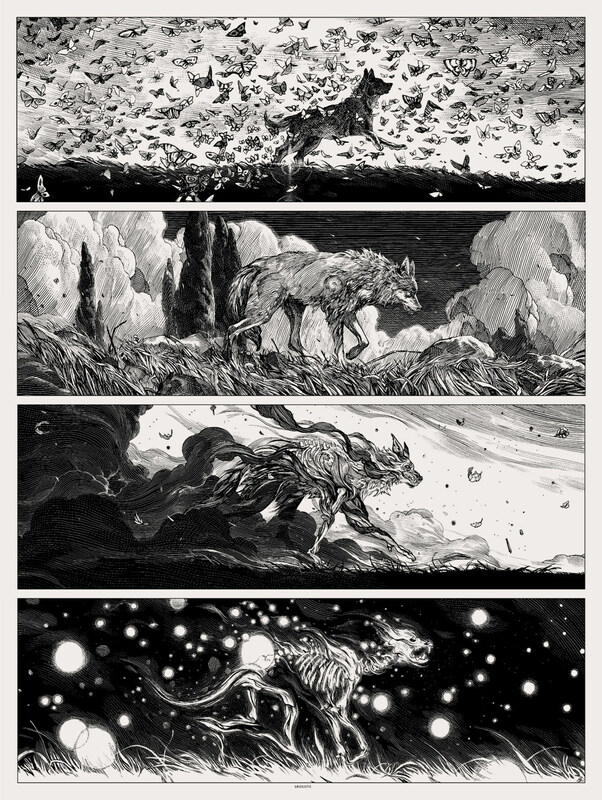 The second is the alternate version of Nicolas Delort’s “Seasons” print. The info for each is listed below. These go up tomorrow (Thursday, December 21st) at 2pm Central Time. Visit THEVACVVM.com. Those are prints from mondo con…. ?